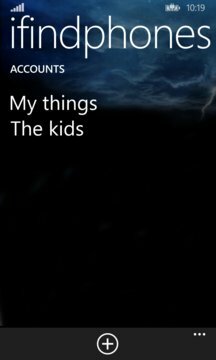 With this app you can easily keep track of all your iOS devices all from your Windows phone. You can get current status of your devices, locate and display them on a map or even remotely play sounds on them. 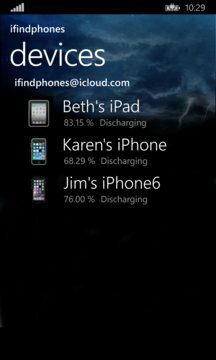 Just log in with any icloud account and retrieve information on all the devices connected to that account.